The Nigerian Ministry of Education has confirmed that Maryam Abacha American University has been fully accredited in Nigeria. The confirmation came more than a month after Nigeria’s National University Commission (NUC) questioned the degrees awarded by the school, warning Nigerian students against enrolling in the university’s programmes. The letter, presented to journalists in Abuja on Wednesday, said that Maryam Abacha American University of Niger is on the ministry’s list of accredited Universities. “The University accreditation agreement was contained in the Niger ministerial order No.000241/MES/R/I/SG/DGE/DL/DES/DEPRI dated 26th November, 2013 delivered by the Diaspora, Niamey, to the Ministry of Foreign Affairs, Nigeria,” the letter stated. 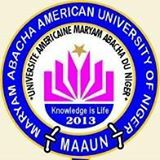 Maryam Abacha American University runs undergraduate degrees in core sciences, social sciences and the arts and it is expected to graduate its first set of students in 2016. Glo X- Factor Audition Venues, Time and Date for Applicants- Glo X Factor Star Prize is N24 Million!